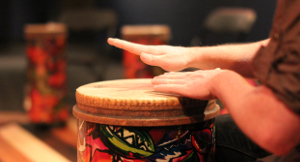 Join us for a family friendly interactive drum circle facilitated by the museum staff. All ages and playing levels welcome! Program is free with admission into the museum. This program will run twice throughout the day: 11AM + 2PM EST.